Languages Spoken: Pahari, Hindi, English. It is believed that in 500 A.D. a legendry hero called Maru migrated to the hilly areas of Himachal and founded Brahmputra, today&apos;s Bharmour valley. It was one of his descendants, Sahilla Varman, who shifted the capital to Chamba, naming the valley after his daughter Champavati. 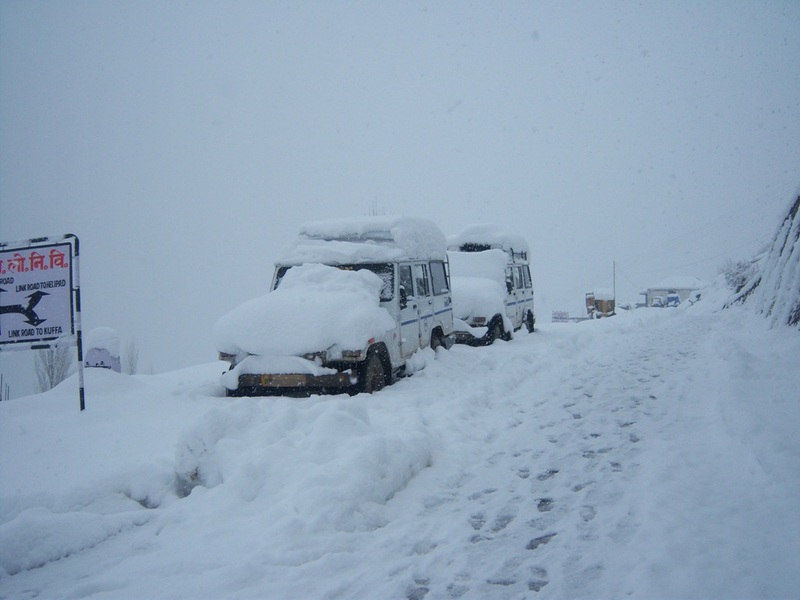 Chamba is the only state in northern India to preserve a well documented history from 500 A.D.<br />Described as the jewel of the Himalayas, Chamba is more than 300 kms from the capital city of Shimla. 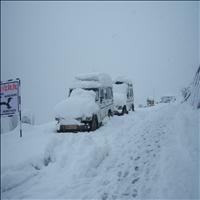 Steeped in legends and guarded by the Dhauldhar, the snowy Shivalik ranges and the Pir Panjal ranges of the mid Himalayas, the Chamba valley is situated on the banks of Ravi River. The views down over the terraced fields are spectacular, with tiny villages clinging to the sheer slopes of the valley. 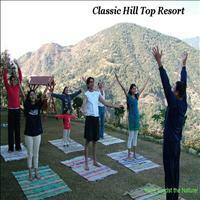 Chamba valley is noted for the magnificence of its nature, its temples, and its handicrafts. <br />The isolation in the valley became a boon for the residents of the Chamba valley, as they were sheltered from the invaders of the plains and also could develop and retain their own handicrafts tradition. The temples and the inscriptions written elsewhere are well preserved in the region of Chamba and are very authentic without any foreign impression due to its geographically strategic conditions. 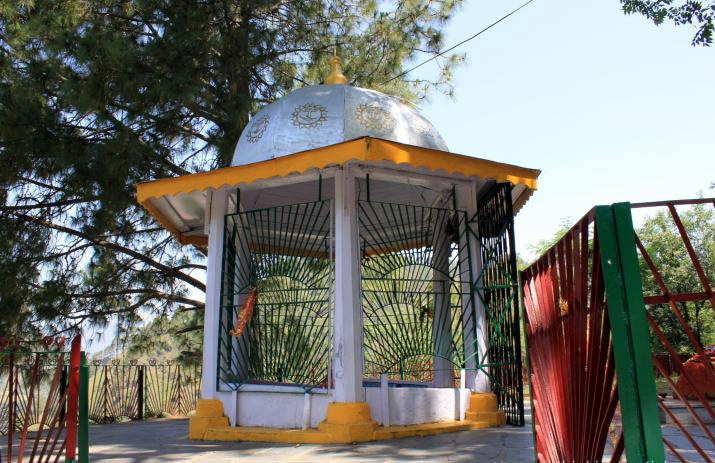 The Chamba is situated in the Hills of the Himachal Pradesh<br /> With Jammu and Kashmir on the north-west and west, Lahaul and Spiti in the north-east and east, district of Kangra on the south-east, district of Gurudaspur (Punjab) on the south. 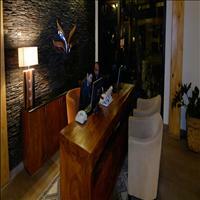 The territory is mountainous with attitude ranging from 2000 to 21000 feet. A public promenade, a vast area, rarely found in the hilly regions, is known as Chaugan. 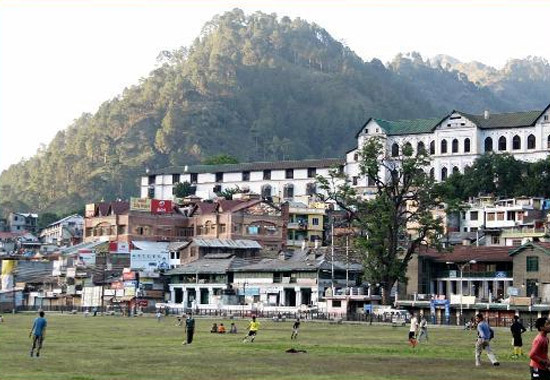 It is the central point for the people of Chamba who take walks, who picnic here, who have dinners here and sometimes also sleep in the night here. Chaugan is the site for the Minjar procession which lasts for a week. 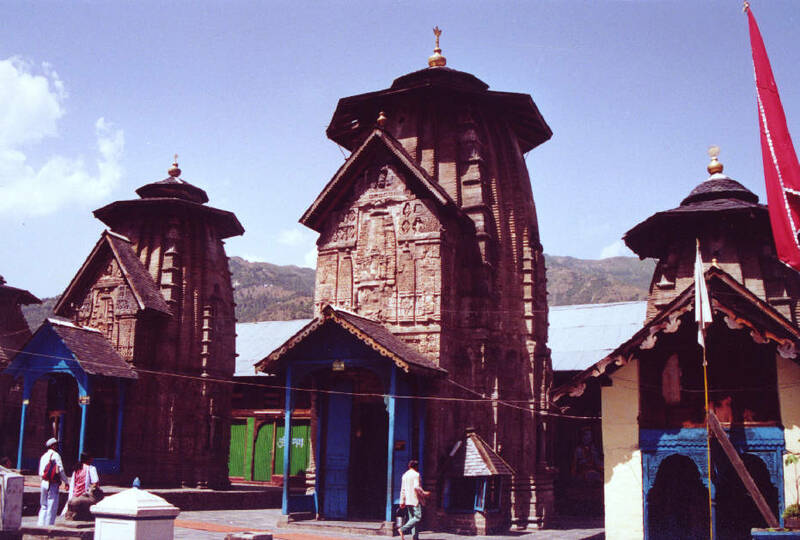 The Lakshmi Narayan temple built in the Shikhara Style during the 10th century by the founder of the Chamba region, is dedicated to Lord Vishnu and his consort, Lakshmi. The temple complex has many other shrines of great archaeological interest. The temples are carved and engraved with intricacy and passion and throw light on the rich cultural heritage that is preserved in Chamba. 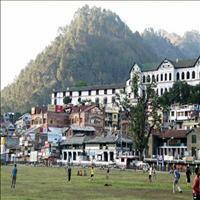 It is believed that when the King Varman shifted his capital to Chamba, there was no water. The priests and other religious astronomers predicted water, only if the son of the king was buried alive. The queen hearing substituted her son with her maid / nurse's son. The moment the pit was filled, water started streaming down. But the nurse lost her son. The temple is dedicated to that mother who sacrificed her son for the well being of her king's subjects. 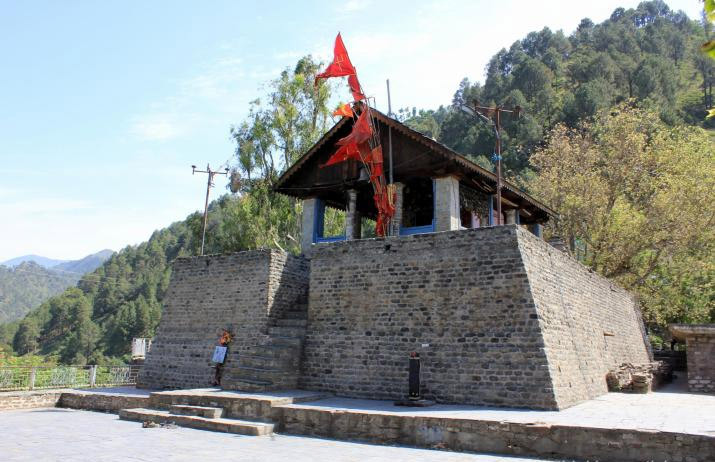 The Chamunda Devi temple, dedicate to another form of Goddess Durga. The temple is located on the Shah Madar hill overlooking the town to its south east giving a stupendous view. 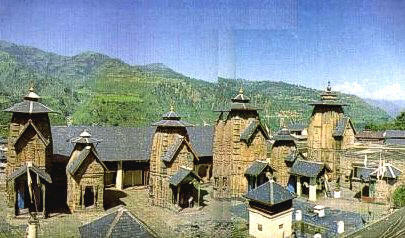 The temple is built in the local Shikhara style in the 18th century and has artistic carvings in the interiors. 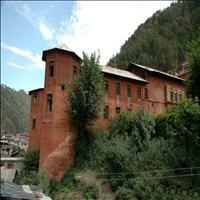 Rang Mahal is one of the largest monuments of Chamba built in the 18th century by Raja Umed Singh. 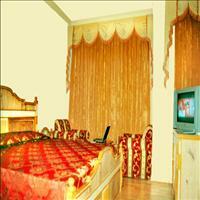 The architecture of the palace is an amalgamation of the Mughal and the Gothic architecture. The royal family resided in the palace till recently and has been taken over by the Handicrafts department. The local handicrafts which were patronized by the kings earlier are today practiced and promoted here. 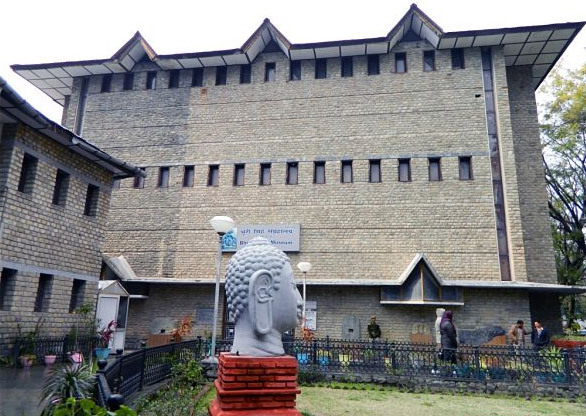 A major attraction of the area is the Bhuri Singh museum, which is a rich store house of Chamba's cultural heritage and an excellent and interesting collection of this region particularly the miniature paintings of Kangra and Bashali schools. Some of the murals and paintings from the Rang Mahal are seen here. 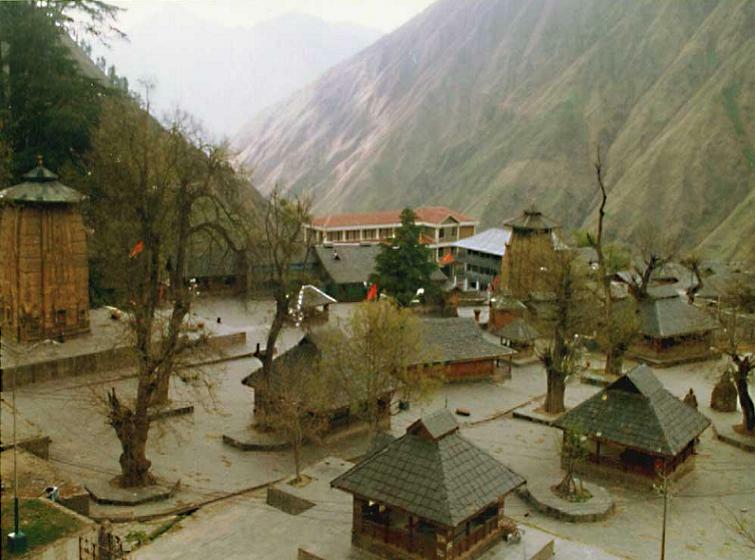 Bharmaur, 65 kms from the main town of Chamba is the home to the semi nomadic Gaddis, the shepherds of this area, and once was the capital of the rulers of this place. It remained the capital of the rulers for nearly 400 years. 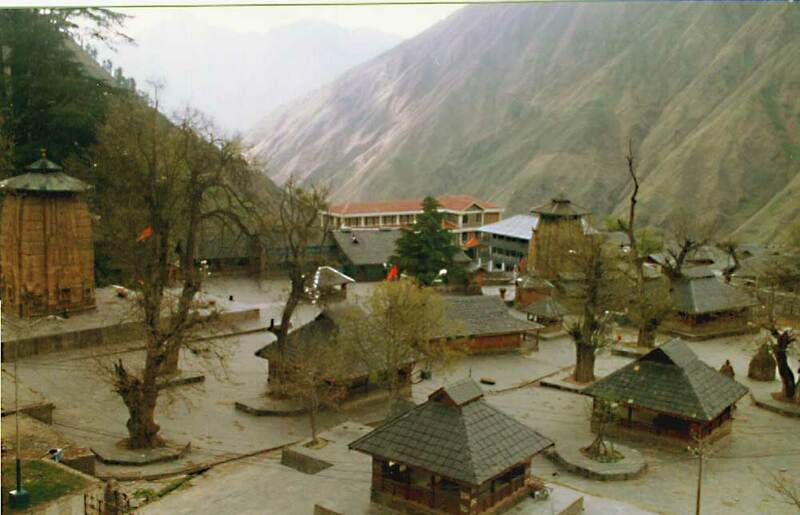 Today apart from the abundant natural beauty that it is surrounded with, Bharmaur is famous for its ancient temples. It is full of beautiful temples dating back to the 7th and the 8th centuries. 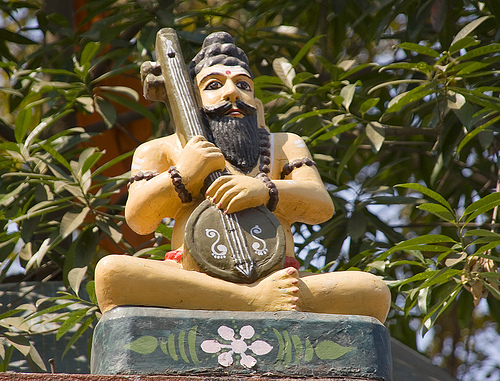 The land mark of this small town is the Chaurasia square. The name is given after the 84 temples it has in that vast complex. 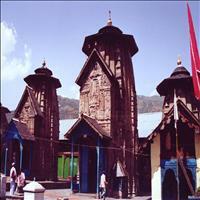 The main temple is the Mani Mahesh temple that stands tall in the complex. 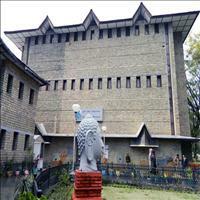 It has many other temples dedicated to various Hindu Gods like the Ganesh, Lakshmi and Vishnu. Unique in its beauty and grandeur and sandwiched between the Pir Panjal and the Zanskar mountain ranges, the Pangi valley is the remote and therefore most beautiful mountain ranges in the Himachal sector. The robust mountains and the equally gushing River Chenab that flows through the length of the place continue to fascinate and beckon the mountaineers. 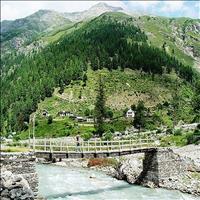 Nearly 137 kms from Chamba, the Pangi valley remains dry during the rainy season, a boon to the mountaineers. Killar is the headquarters of Pangi valley. Nestled cozily in the midst of Cedar grove is the temple of the local deity, Det Nag. 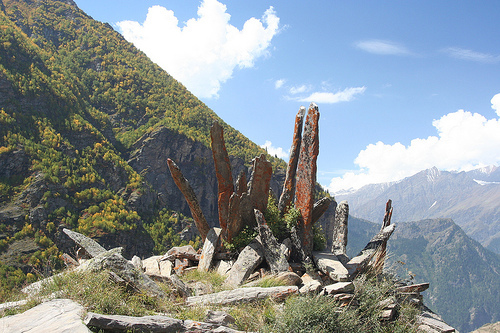 The legend has it that Det Nag was originally enshrined in Lahaul which would take human sacrifice. 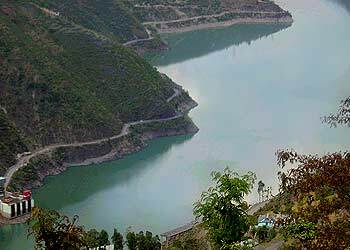 One resident of the Chamba area once threw the Nag in to the River Chenab, and the deity came out at Killar. Det Nag was then carried to the site of the present temple when it fell from his back with the face on the ground. 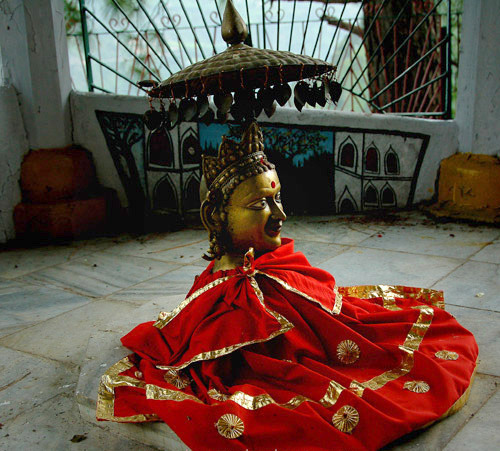 A shrine similar to this position has been erected and is since been worshipped.